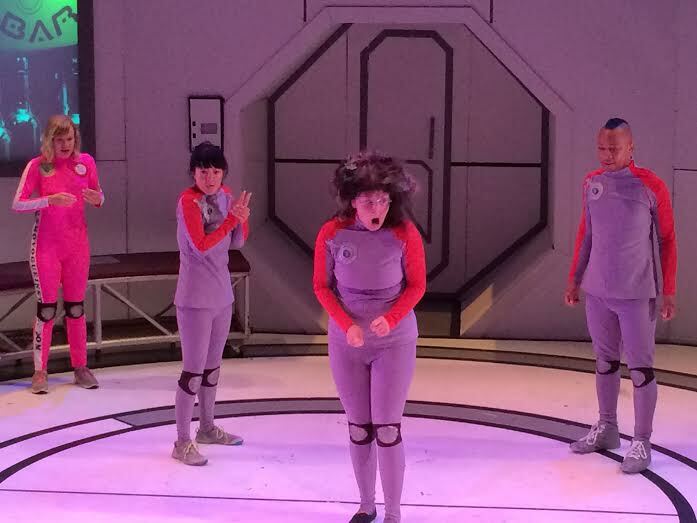 'Red Planet Respite' is opening THIS FRIDAY at the Mandell Weiss Forum Theatre at the La Jolla Playhouse! We've been in a monster/amazing tech all weekend so we're all a bit burned out- but we can't wait to share all the Mars magic with all of you (have you grabbed a ticket yet?!). To get you excited about the piece, here are some sneak-peek pictures from Director Katie's cell phone. Things are looking amazing thanks to our talented crew!!! What the heck is going on? Well you'll have to see the show to find out! Click the orange button next to this post and buy your tickets today!